Suzanne and TJ were married in Scartaglen church, just a stone’s throw from the house they’ve built together. 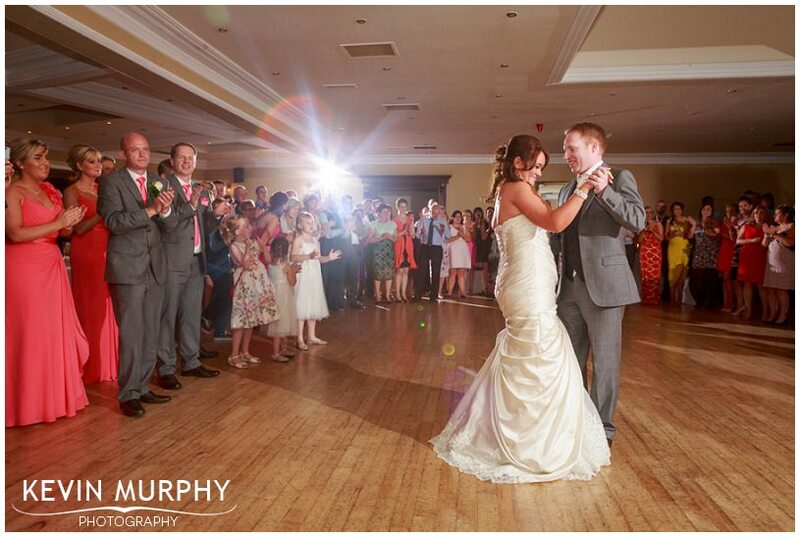 They held their reception in the Malton in Killarney. The day was very wet, but somehow they managed to control the weather so that it always stopped raining exactly when we needed it to – nice! Suzanne and TJs approach to the day – there were no nerves or fussing or worries – one of the most relaxed couples ever. The laughter in Suzanne’s house as everyone was getting ready. I can’t even remember what it was all about, but there was a lot of happiness. TJ absolutely beaming at the church as he waited – not a nerve in sight and loving every minute of it. Suzanne and TJ organising their seats so that they could face both the priest and the congregation. Killarrney. Gotta love it. Lakes, mountains, blue sky – what more could you ask for? “Thank you so much for everything yesterday. Everyone commented on what a nice guy you are and how relaxed the whole thing was. You really listened to what I wanted so thank you for that. 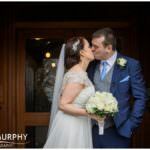 Elaine and Ray were married in Newtownshandrum church and held their reception just down the road in the Charleville Park Hotel. After a quick stop in Herlihy’s pub (of course! ), we made our way back to Elaine’s house for the bridal party photographs. 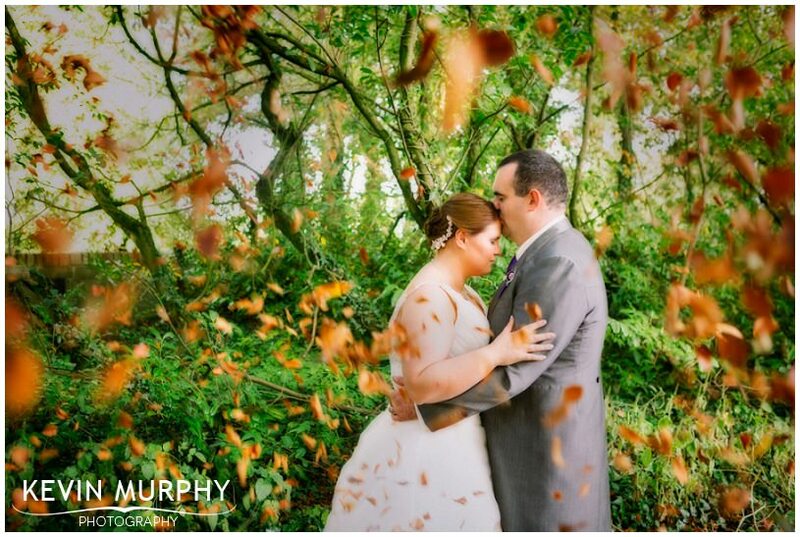 The garden was full of Autumn leaves (especially imported for the big day!) and the driveway looked amazing with the evening light flowing through it. The chilled out morning at Elaine’s house. Super relaxed and 100% natural – I knew it was going to be a good day within minutes of arriving. The button bouquet, which had loads of little personal details in it. Fr. 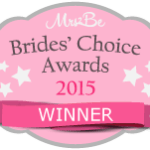 David (who is Elaine’s uncle) was great – not just with having the personal touch of somebody who knows the family well, but also with being relaxed when the inquisitive flower girls wanted to see what was going on up around the altar! The tractor. It was first in terms of wedding transport, that’s for sure. Thankfully the weather was good for it! Cutting the cake with a chainsaw – again, definitely a first – and probably a last too! 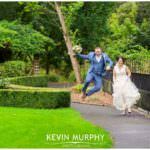 Kim and Dave were married in St. Mary’s Cathedral and held their fun filled reception in the Brehon hotel in Killarney. The girls got ready that morning in Pat O’Neill’s style suite in the Brehon hotel and the guys got ready in a house nearby so I was able to visit both that morning which was great! The sun was shining, the sky was blue and the style was out in full force! The atmosphere in Pat O’Neill’s style suite that morning. It was so relaxed and chilled out and but with a lot of laugh-out-loud moments too! Zack and Mathew, the two page boys, were very entertaining – from trying to tickle my camera with a feather they had found to having a good old brotherly brawl during the speeches! The music during the ceremony – even though I lost a lot of macho kudos when I was chatting to the musicians about a song I had recognised and it was from Love Actually! The location we had planned to use for the bridal party photographs in our initial meeting 2 years ago didn’t work out BUT we found somewhere even better. The love quotes at each of the tables at the reception. Having my camera borrowed by some guests on the dance floor to get a photo with me in it – definitely a first! 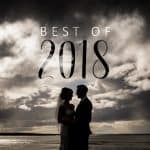 “From the moment I met you 2 years ago to the last second of the evening of our wedding it was nothing but a laid back cool approach but with complete and utter professionalism – I don’t know how you manage to get such a good balance. You felt like part of the wedding that day, snapping away quietly and then guiding us for every other photo to make sure that we got the best we could get for our pictures. We really enjoyed your company on the day as did everyone else, we adored your slideshow and everyone was raving about the quality and how fab it was to see it play out. Cathy and Declan are living in Perth so I didn’t get to meet them until a few days before their wedding. They were so laid back and relaxed that I knew their wedding day would be great. 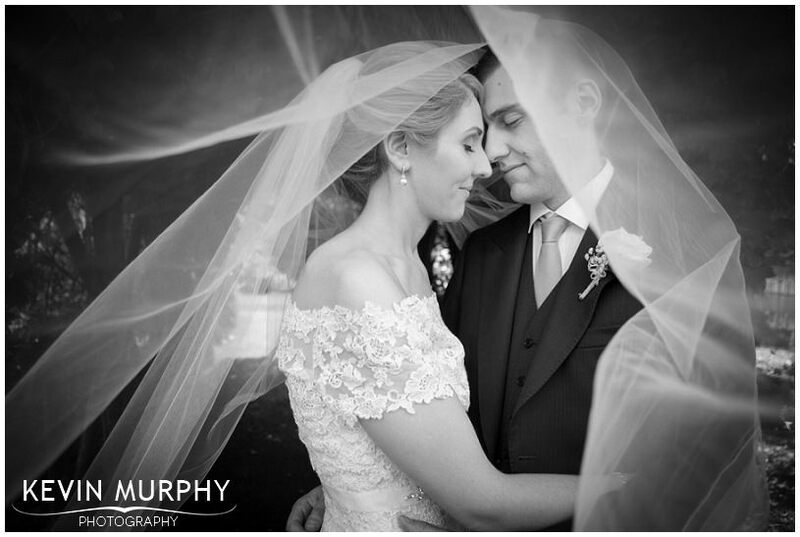 They were married in Raheenagh church and had their reception in the Listowel Arms. Coming home from so far away and spending a few days surrounded by everyone that is close to you must be amazing – Cathy and Delcan were beaming all day! Even though they grew up fairly close to each other, Cathy and Declan met in Australia. Declan often gets a bit of a slagging from his friends that he had to travel half way around the world to meet a girl from down the road. His answer? “It was worth the trip!”. Cathy’s uncle’s Morris Minor which was used as their wedding car. Cathy’s mother taking out her wedding album that morning. It was so nice in the age of digital-everything to see it. 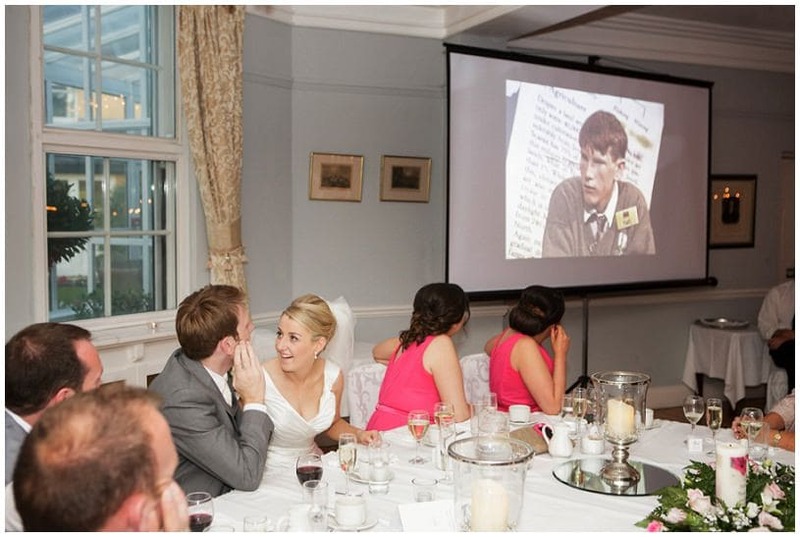 Who knows, maybe Cathy and Declan will be pulling their wedding album for the same reason some time! The girls bunny and sheep outfits – hilarious! How everyone was up for a bit of fun, from walking around outside wearing nothing but a towel on the morning of the wedding to giving it socks on the dance floor! The lads playing football in the park during the photo session. Bumping into one of my best friends from primary school who I haven’t seen since 6th class! 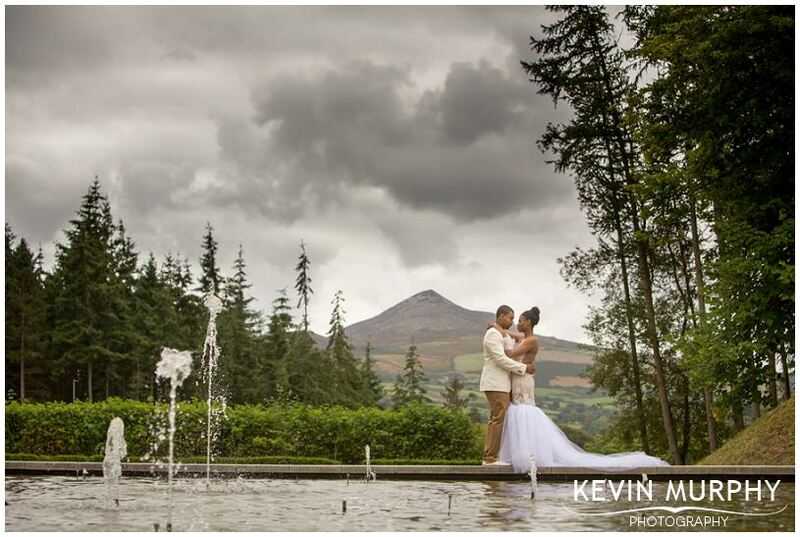 Jackie and Bruce are living in Glasgow, but they came home to Adare where Jackie grew up to get married. 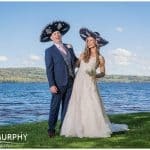 They had their wedding in the Holy Trinity Abbey Church in Adare and held their reception just down the road in the Woodlands Hotel. When I arrived in Jackie’s house that morning I noticed a family photograph from her sister’s wedding hanging on the wall. The groom looked very familiar and it turned out he was a great friend of mine back in secondary school! What are the odds?! Not only was it great to catch up with Wil, but his daughter Kate was the flower girl and was definitely the star of the show. She’s a lucky girl to be surrounded by such a great and loving family. The land rover Bruce organised as a surprise wedding car for Jackie. The flowers. It’s funny, it’s not something I usually notice but the the bouquets and flowers at the church looked great. Fr. Chris’ sermon. The giant granny was visiting Limerick at the time which was his inspiration. I love his sermons, they are always so personal and meaningful. The random squeaks during the ceremony from the toy being used to keep Kate entertained. 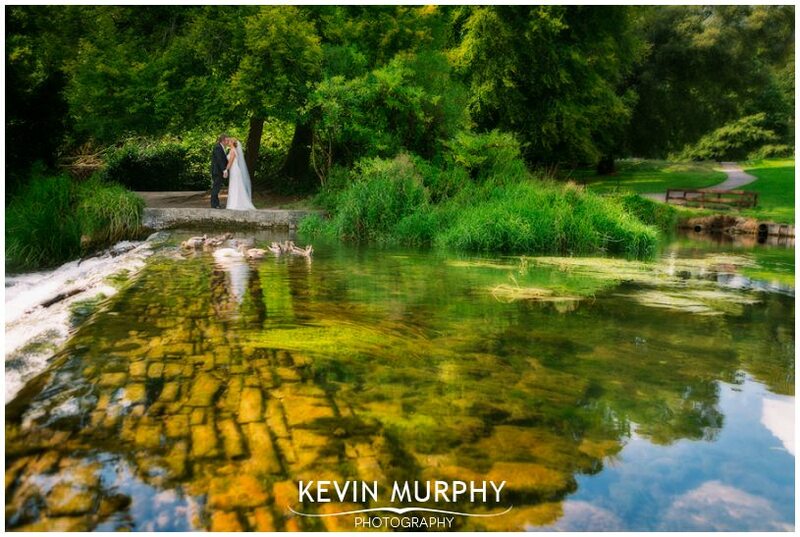 Having nice weather to go to the park in Adare for the family and bridal party photographs. Mary’s sister Ruth was a bridesmaid for Nuala and Ger’s wedding a few years back so when we randomly bumped into each other and she mentioned her sister was getting married she practically booked her in there and then! I usually meet up with people before their wedding for a chat but because I’d met Ruth (and I figured she couldn’t be that different from her sister) I didn’t actually meet Mary and Andy until their wedding day. The morning of the wedding I spotted a huge bag full of inflatable instruments for the dance floor that night and I knew it was going to be a great day! When I arrived at Mary’s house that morning her mother Bernie was probably the most excited person I’ve ever seen on a wedding day! It was contagious! That morning was a lot of fun (apart from the occasional wasp making it’s way into the kitchen and bringing everything to a halt!). Bernie’s reaction to seeing Mary in her wedding dress for the first time. Mary and Andy’s customised altar cloth. I’ve never seen anything like it before. While we were in Doneraile Park taking some photographs Martin, the best man, shouted over “Mary, your sisters are filthy…… I love them!”. The wedding cake which Mary made herself, and the cake table which was made from a tree that had fallen in the storms. The dance floor. It was epic! I stayed way longer than usual it was so much fun! Anyway…. Niamh managed to get her hands on a copy of the broadcast from the RTE archives. I edited it down to a “Best of Paul” shortened version and somehow, against all odds, it managed to stay a secret until the wedding day. It was hilarious! Luckily, Paul is a smart guy and really picked up his team in the rapid fire buzzer round. It was definitely one of the highlights of the day! Working with Val and Rachelle on hair and makeup again – they’re like a dream team! The relaxed vibe in Niamh’s house that morning and the funny comments – when the girls were getting Niamh into her dress they were wearing a white cotton glove to keep it clean. They cracked me up with their Michael Jackson jokes! I’m lucky enough to be the photographer for Niamh’s brother Brian’s wedding to Ashling next year too so it was great to get to know their family a little better. Cratloe church. It’s such a lovely, intimate place to get married. The guests cheering every time Paul got an answer correct on Blackboard Jungle. It was on par with the excitement of the 1990 World Cup Ireland vs Romania penalty shoot out! After a little AM/PM confusion Chantel & Dwain arrived in Ireland from Chicago at crazy o’clock in the morning. A quick adventure in driving at the wrong side of tiny country roads and a few short hours of sleep later and I showed up at their hotel room to photograph their wedding day. What followed was one of the most fun, personal and real weddings I’ve photographed. 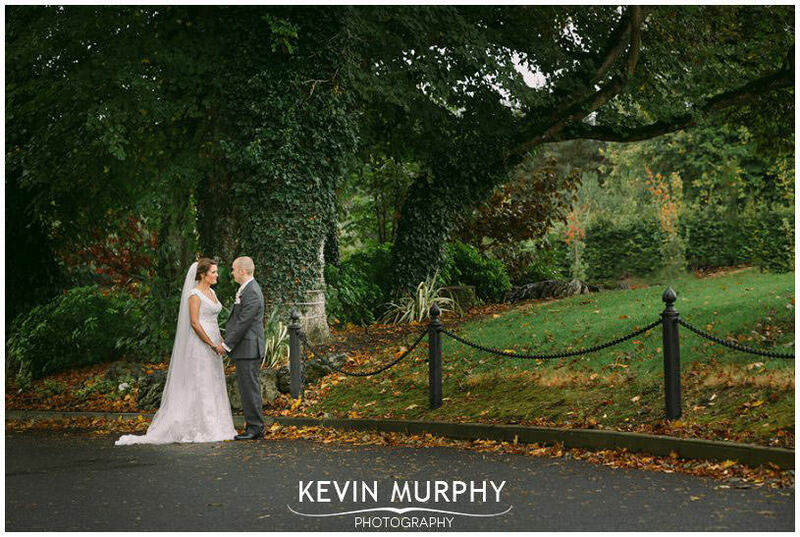 We were joined by Romy for a beautiful ceremony beneath two ancient trees with the Sugarloaf mountain as a backdrop. It was emotional! Other than that it was just Chantel, Dwain and I hanging out and having fun. How they both pushed through the exhaustion and jet lag that they must have been feeling and didn’t even mention it. The ceremony. It was such a privilege to be there and not only experience their vows, but document them for their friends and family back home. Chantel and Dwain were up for anything. They asked me if they could climb up on the side of the big pool outside of the hotel! That’s my kind of couple! 😉 No matter what I asked of them they just did it – which led us to some amazing images. Some of the locations we had planned didn’t work out so we had to improvise a little – the location of the ceremony was somewhere I had found the day before when scouting. The final image below at sunset was another back up location I’d found. In the end it all worked out great. 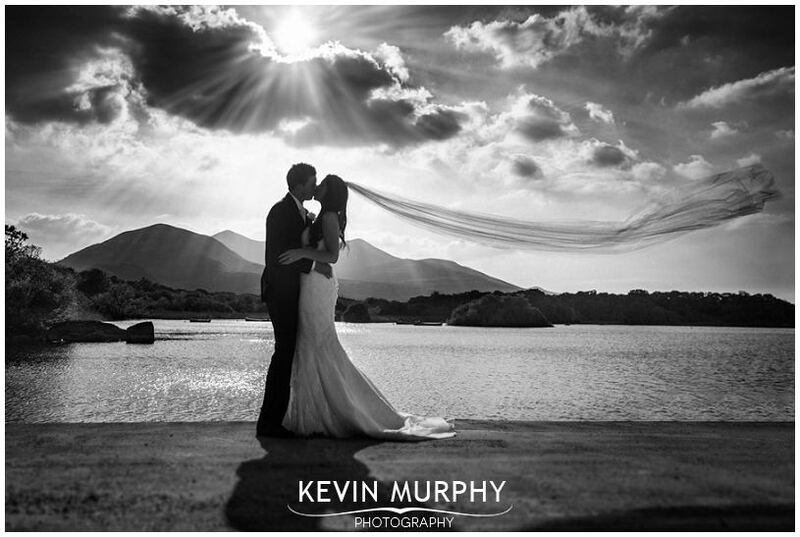 Here are a few of my favourite images from their wedding day. I’ve also sprinkled in some thoughts and advice from Chantel and Dwain below.